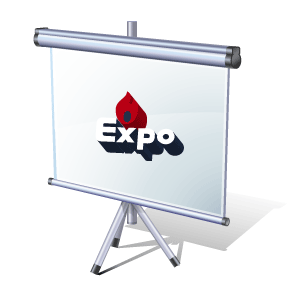 ﻿ EXPO GAS CONTAINERS LTD.
EGCL strength grows from a distinct culture that is founded on the core values of the business. Ethics and integrity in all that we do. We act with uncompromising integrity, both as individuals and as an organization. Honesty and fairness are at the heart of the company. Exceeding expectations is our primary purpose. We engage our clients and are determined to understand their needs. We engineer value through transforming creative thinking into reality. We work fast to deliver successfully and take great pride as in the number of repeat clients as a measure of our achievements. We are what we repeatedly do, excellence is not an act but a habit. We are trusted to set and achieve high standards through advanced technological capabilities by continuously updating processes, attracting the best talent and modernising thinking. We take ownership of the projects with which we have been entrusted. We thrive on challenge and accomplishment. We are trusted to take full accountability of our projects and maximise the allocation of resources to bolster the value added to our clients with a focus on EPC methodology. Our employees are our greatest asset We foster an environment that cultivates teamwork and achievement. We work towards key goals through open communication, mutual support and continuous training and development. Respecting differences and building upon our strengths we value individual potential and reward achievement. We are passionate about delivering quality results. Doing it right the first time is the result of comprehensive planning, highly tuned systems and skillful execution. Our approach to quality management emphasises personal health, safety and environmental care. Our culture of continuous and never ending quality improvement transcends functional boundaries and is driven by excellence in all that we do. Zero harm is our absolute priority Zero accidents are our unwavering goal. Not only do people's lives depend on it, but health safety and wellness of our people and community is integral to the sustainability and quality outputs of our business. We continuously review, measure and adjust our health and safety management system to improve effectiveness and align to the needs of our businesses. We are committed to the sustainability of our environment Our commitment to the needs of the environment underpins everything we do. We actively seek to improve our positive contribution to the environment while minimising the impact of our operations on the environment. We promote environmental awareness through the value chain by sharing our successes and providing company resources to address local needs. We are sensitive to the local needs of our stakeholders and the communities where we live and work. We believe that social responsibility is a business imperative and aim to invest our resources in sustainable initiatives that enhance the social and economic welfare of our stakeholders. Through an inclusive and strategic approach, we harvest the best returns possible on our corporate social investment spend. Expo Projects Engineering Services Pvt. Ltd.
Expo Project Engineerings Services Pvt. Ltd. consider it our prime duty to introduce ourselves to establish our credentails which we are confident and would draw your kind attention that it so deserves. Mumbai 400 003 - INDIA. © Copyright 2014 EXPO GROUP OF COMPANIES :: All Rights Reserved. :: Designed by: Ain Digytal Inc.